Knocking down brick walls – Can you help me? Like all genealogists, amateur and professional, I have met brick walls in my research and spend far too much time trying to figure out how to knock them down, jump over them or walk round them. This page is devoted to my brick walls, including those I have hopped over. I hope that this may trigger some responses to how I can resolve issues and also provide inspiration to others who have met a wall in their own research. (I have started to put together a list of posts to make here, but need to flesh out the details and define the questions more clearly). Any clues that you may have that will help me to get past these hurdles would be very welcome. Robert’s death certificate tells us that he died 20 July 1926 at Broomhill, Northumberland. It shows age 69 which suggests he was born about 1857. Second wife Bella Sharp died 23 Nov 1918. Robert was informant. Living in Radcliffe as a coal miner. Living with second wife Bella and sons Edmund and Jonathan from his first marriage. Daughter Annetta has moved out after her mother died to live with the Doleman relatives who witnessed her parents’ wedding. Robert married his second wife Isabella Sharp in 1907. I have not found any children for Robert and Bella, which makes sense as she would have been about 50 when they married. First wife Mary Davis died 26 Feb 1902. Robert was informant. Living in Radcliffe as a coal miner. Robert married my great grandmother Mary Davis 18 July 1892 at Morpeth, Northumberland. The certificate records him as a bachelor, a coal miner living at Stobswood Colliery, Northumberland. His age on this marriage certificate is 31 which suggests he was born about 1861. Father recorded as Edmund Webb, Stonemason. No indication that Edmund is deceased. Witnesses: S.E. Doleman and J. Doleman. In the 1891 census Robert is living at Blake Town, Seghill as a lodger with the Lightley family. Single, coal miner, age 42, birth year 1849, born Oldham, Lancashire. I was doubtful about this record at first because of the age but I cannot find a better match and it is close enough geographically for him to have met Mary Davis who he marries the following year. I have found no appropriate trace of Robert Webb from Oldham in the censuses for 1881, 1871, 1861 or 1851. A 12 year gap, which may well be explained by not wanting to appear 43 when he married 23 year old Mary. If he was actually born in 1849 then it does raise the issue of whether his status as single before marrying Mary is to be believed, so there may even be a marriage for him in Lancashire. That will be one of my subsequent lines of research. Since he has been less than truthful about his age and I find no census records indicating a childhood location and no Lancashire birth record I am also a little dubious about how much we can rely on Oldham as place of birth. If you can help me to find a birth record for the mysterious great grandfather Robert Webb then please leave a message in the comment box. Adam Gowans, baptised 30 Jun 1793 at Longhoughton, abode Dunn’s Heugh, son of William Gowans and Isabel. Eleanor’s baptismal record indicates that she was born at South Charlton and that her father was a hind, native of Buston-barns in the parish of Warkworth and her mother was a native of Long Framlington. The Gowans family have clearly moved around the farming districts quite frequently, so it is not inconceivable that this couple may have been in Holburn at some stage and given birth to an elder daughter Isabella. I have found a marriage record 20 May 1792 at Eglingham for William Gowans of Edlingham and Isabel Thompson, which would fit in nicely with the theory. All four of these names (William, Isabella, Adam and Eleanor) repeat themselves often in the Cracket descendants of Isabella Gowans jr, so I believe I may be onto a good lead here. There is of course the possibility that I may be on totally the wrong track with the Gowans idea or that my Isabella Gowans may have come from Scotland or Ireland. (Note the transcriptions listed above do actually include all three of Ellingham, Edlingham and Eglingham). I have not had an opportunity to check to original records to see if any are transcription errors). I would welcome any input that might either confirm or disprove my theory that William Gowans and Isabella Thompson may be my 4x great grandparents. Did we have an Andrew Oliver, silversmith? Was William Robinson Turner really Geordie’s dad? describe surprise at 2 year discrepancy between marriage date and birth date. Where is the Doleman connection? Vital records for George Davis? Vital records for Ann Corbett? Why did Annie Turner have middle name Roden? Each brick wall that gets flattened leads to new brick walls further back, but there is still a great sense of achievement each time a mystery is solved. Here are some of my successful resolutions which may hopefully give inspiration to other amateur genealogists who are contemplating giving up. 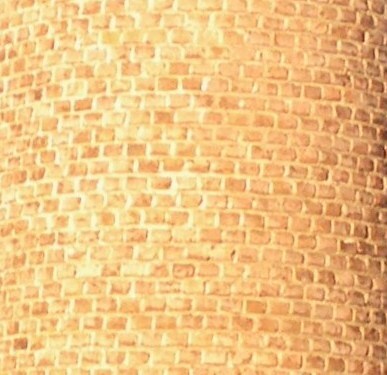 One of my early brick walls related to the mother of my grandfather Jonathan Doleman Webb. I grew up thinking that his middle name came from his mother’s maiden name, so I wasted a lot of time looking for a Mary Doleman. At that stage I had not started to collect BMD certificates. After several months of getting nowhere with Mary Doleman I asked my aunt to dig in her cupboards and see if she could find any information to help me. She unearthed a file with many useful documents including an apprenticeship application stating that my grandfather’s mother was Mary Davis. Moral of the story: Check vital records sooner rather than later. Do not just rely on what you think you know. I knew that my grandfather, Jonathan Doleman Webb, had an older brother Edmund Webb who was killed in WWI, but it came as a surprise to discover in the 1901 census that he also had an older sister Annetta Webb born in 1893. My aunt had now memory of this aunt of hers. For a while after that I could find no more trace of this mysterious great aunt, but as more records came online I found out more about her. In the 1911 census she had moved out of the family home following the death of her mother and was living with relatives. She is recorded as the niece of James Doleman and his wife Elizabeth. Annetta married twice: To John George Spears in 1913 and to Robert Smailes in 1920. I tracked down her first marriage by stumbling across a local grave for a Robert Webb Spears and wondering if he might be a relation. He turned out to be Annetta’s son. She had 8 children in total and I find it surprising that these first cousins of my mother lived very close to us without us knowing about them. Moral of the story: Keep rechecking online records periodically as new information might be added to help you on your way. Thomas and Ellen (Ellenor Carr) See CuriousFox – Thomas and Ellen Carr. Have now confirmed which Thomas and discovered that Ellen (Eleanor) has surname Reid / Reed /Read. What happened to Annetta Webb ? describe finding in 1911 census and following through two marriages to give 8 new cousins for Mam and more info on their families. Parents of Mary Davis ?- solved: George Davis and Ann Corbett describe tracking through Mary’s sister’s birth. Still not sure about marriage.